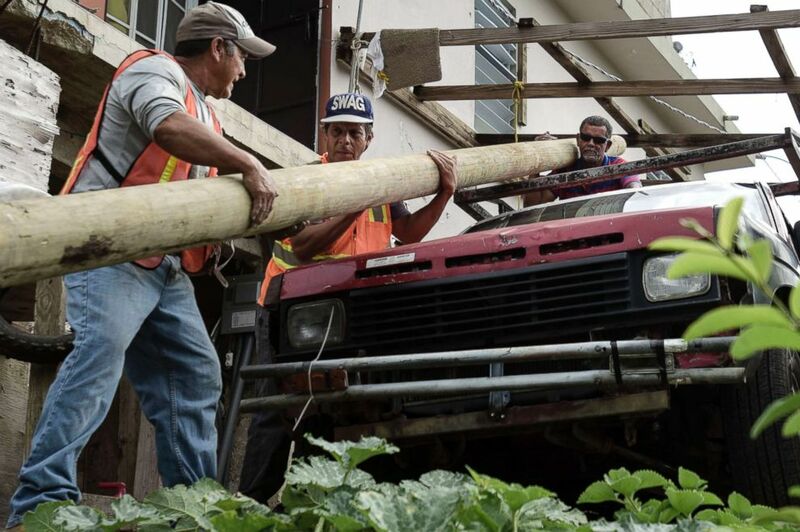 Retired carpenter Felipe Rodriguez, far right, uses his pickup truck to help municipal workers, who are also locals, move an electric post so they can install it near a home, in the El Ortiz sector of Coamo, Puerto Rico, Jan. 31, 2018. 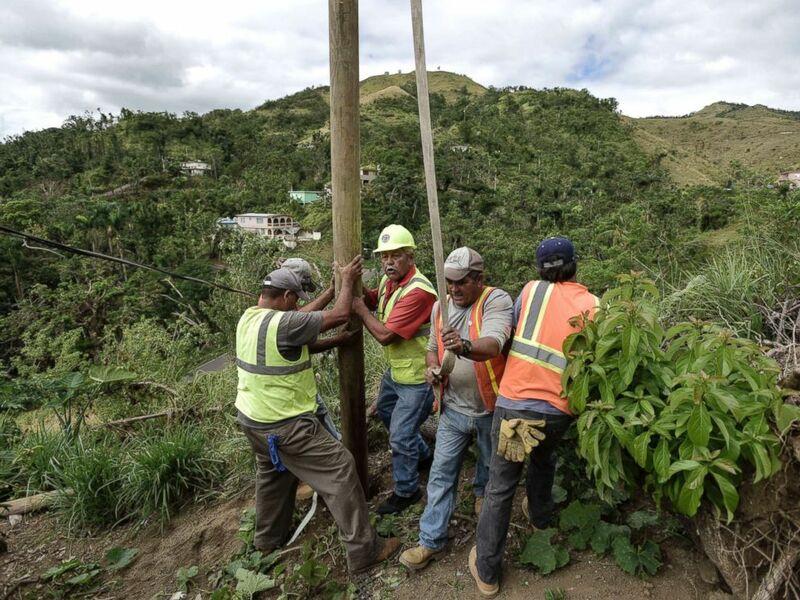 Public Works Sub-Director Ramon Mendez, wearing a hard hat at left, works with locals who are municipal workers, as they install a new post to return electricity to a home in the El Ortiz sector of Coamo, Puerto Rico, Jan. 31, 2018. 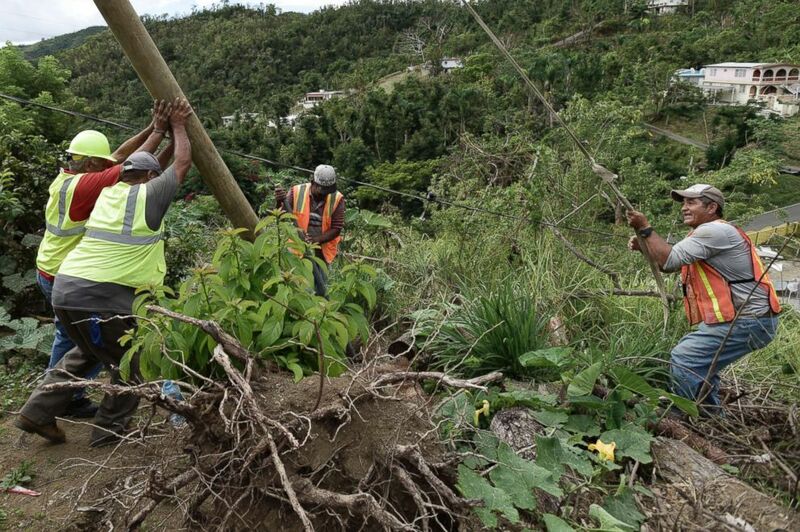 Public Works Sub-Director Ramon Mendez, wearing hard hat, directs locals who are municipal workers, as they install a power pole in an effort to return electricity to a home, in Coamo, Puerto Rico, Jan. 31, 2018.